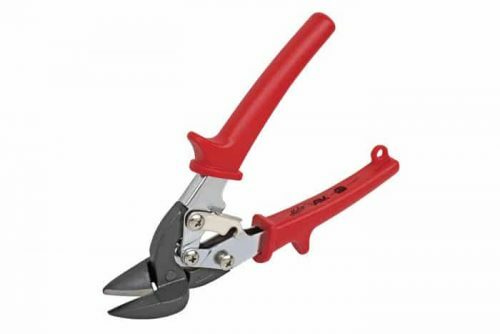 One hand operation with normal squeezing action provides enough pulling power to set all popular size rivets. 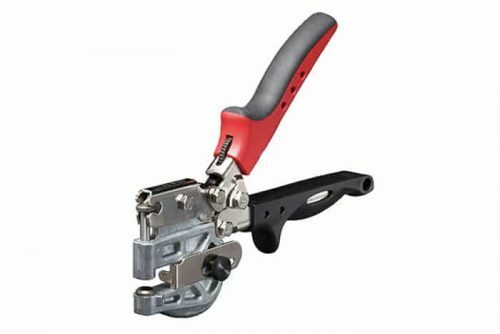 2-in-1 adjustment features a single long stroke for most hand riveting applications and a short “ratchet action” power stroke for setting larger diameter rivets. 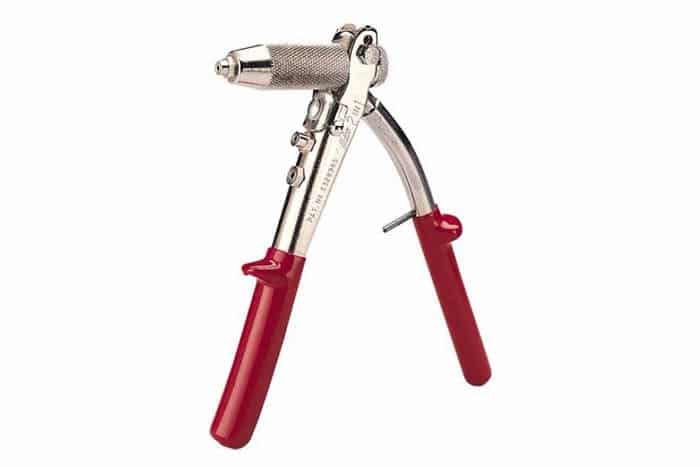 Outside jaw-grip adjustment wheel opens and closes jaws with fingertip ease to fit any size mandrel and to obtain maximum stroke efficiency. 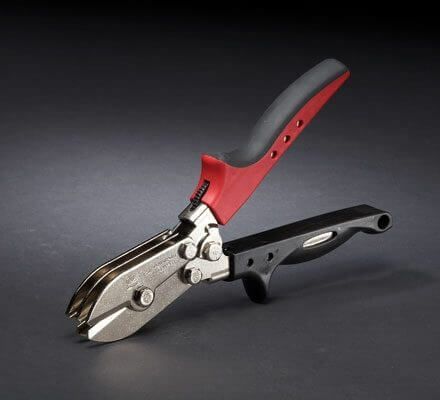 Professional slim nose allows 2-in-1 to go where other hand riveters cannot. 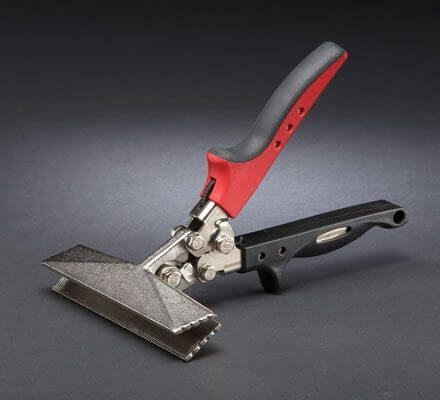 Ideal for reaching into corners and recessed areas. Three nosepieces 1/8″, 5/32″, and 3/16″, included with tool. Nosepieces are stored in handle. Heavy duty all steel construction insures long life and minimum wear. Polished finish, nickel-chrome plated. Red vinyl cushion grip and hand stop.